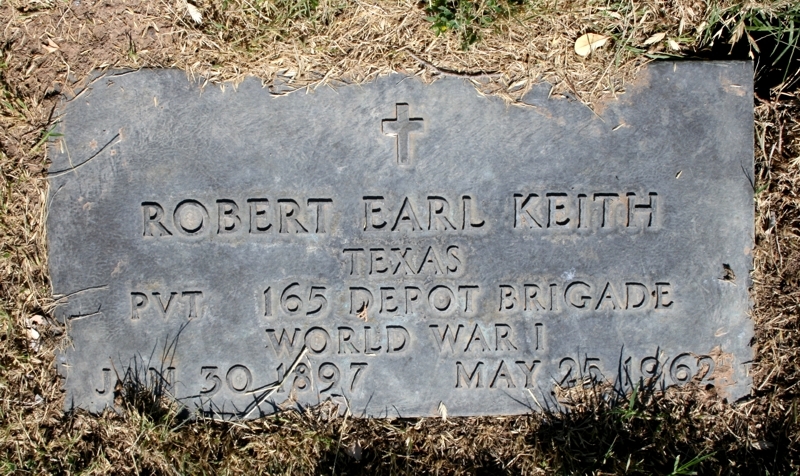 ROBERT EARL KEITH was born June 30, 1897 in Concho County, TX, and died May 25, 1962. 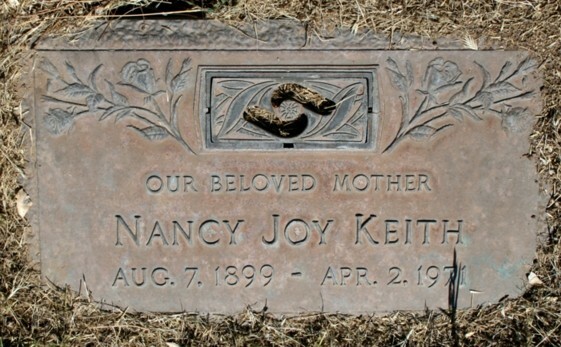 He was the third child born to WILEY H. KEITH and EMILY CATHERINE HOLLIDAY. He married NANCY Joy Abt. 1916 in McCulloch County, TX, daughter of Louis Washington Joy and Texellen Stewart. She was born Aug 7, 1899 in Texas. Photo taken and copyrighted by Laurel Indalecio at Restlawn Memorial Park, El Paso, Texas, May 7, 2011. Used by permission. 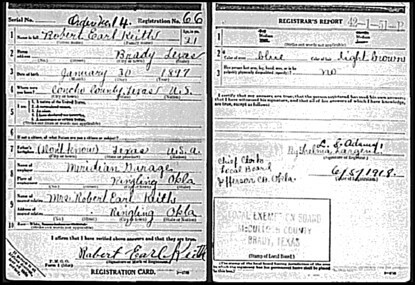 Earl served in World War I, and it is said that he went to Germany, but so far his service record has not been found. He and his family moved to Portland, Oregon some time before his brother Ivan did. He eventually wound up in El Paso, Texas where he lived the rest of his life. ARTHUR KEITH b. Abt. 1919, Menard County, Texas. ROBERT K. KEITH b. Abt. 1919, Menard County, Texas. MELBA C. KEITH b. Abt. 1921, Menard County, Texas. Raleigh Rex KEITH b. Jun. 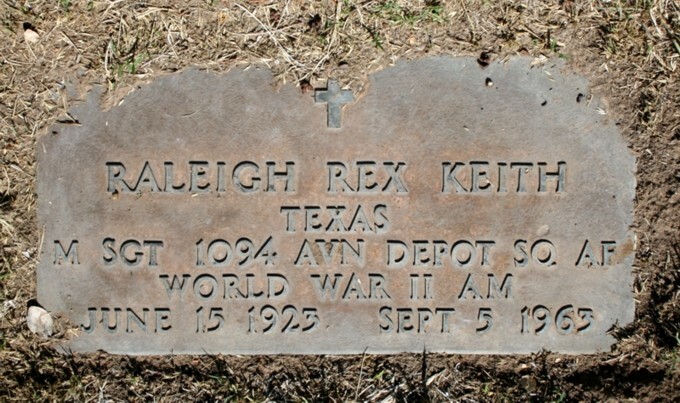 15, 1923, Menard County, Texas, d.
KATHRYN ARDOIN KEITH b. Apr. 27, 1928, Menard County, Texas, d. Sep. 20, 1996, El Paso Co. TX; m. Sethb Albert Ardoin. BONNIE KEITH b. Aft. 1929. 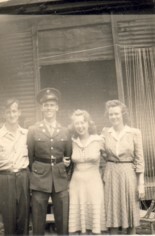 JOY RUTH KEITH b. Aft. 1929.